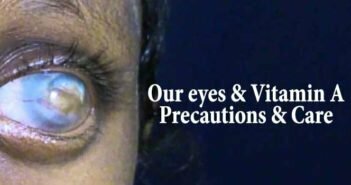 You are at:Home»Eye Care»World Glaucoma Week 2017 – is Cure of Glaucoma possible? Glaucoma is the name for a group of eye conditions in which the optic nerve is damaged at the point where it leaves the eye. This nerve carries information from the light sensitive layer in your eye, the retina, to the brain where it is perceived as a picture. Your eye needs a certain amount of pressure to keep the eyeball in shape so that it can work properly. In some people, the damage is caused by raised eye pressure. Others may have an eye pressure within normal limits but damage occurs because there is a weakness in the optic nerve. In most cases both factors are involved but to a varying extent. Once a year, during Glaucoma Week, each of us has a chance to make a difference in our community. The World Glaucoma Association and the World Glaucoma Patient Association hope you will full-fill your special role in creating awareness concerning glaucoma. The number of people (aged 40-80 years) with glaucoma worldwide was estimated at 64.3 million in 2013, and is expected to increase to 76.0 million in 2020. Enormous efforts will be needed in the next decade to overcome the impact of glaucoma around the world. New strategies concerning glaucoma screening, diagnosis, treatment and rehabilitation are mandatory. Early detection is essential to limiting visual impairment and preventing the progression towards severe visual handicap or blindness. An eye-care professional can detect glaucoma in its early stages and advise on the best course of action. It is not possible to regain the loss caused to eyes by Glaucoma, because it temporarily damages optic nerve. 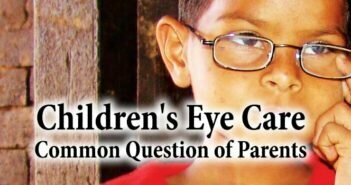 But if the treatment is done in time we can stop the harm caused to optic nerve to some extent and in rare cases it can be stopped from affecting optic nerve. 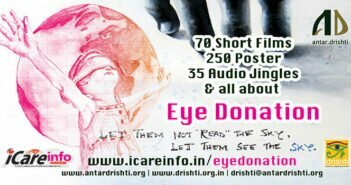 For this it is very necessary that sufferer should be under treatment and observation of eye specialist on regular basis, as it is a life long process.